Many of you might not know it but International Translation Day 2018 is now fast upon us. The day which is dedicated to the occupation of translators will strike once again on the 30th of September. It will celebrate the unique talents and the dedication to their field that translators all over the world have provided for their occupation over the many years. On this day, we and other translation organizations on a global scale will not only be celebrating how translation helps to allow cross-country communications but also how the industry as a whole has been growing on the great continent of Africa. It might not be a day that is as internationally recognized as many others but for those that have worked tirelessly to break down language barriers across the world, it is a day we look forward to as it brings all of us in the community much closer together. 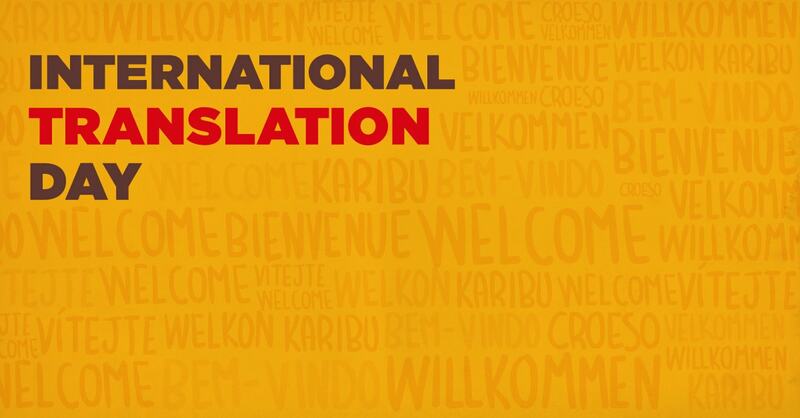 International Translation Day has now been since running each year since 1953 and it was initially set up to not only show the solidarity in the profession but also to help it grow and evolve in countries worldwide. The date of the feast of St. Jerome was chosen as the day to celebrate this each year (the 30th of September) and this was the logical choice as he is considered the patron saint of translators. It is widely known that translation services in the past would focus on major European languages with the rest of the world being largely forgotten. The African continent with so many languages was one that was previously neglected in the industry but over the years there has been a sea of change. We at AfroLingo as well as the many other excellent translation companies on the continent are now in a position to be able to offer our services on a much wider scale. This is only good news for the industry and of course, the many millions of people that live across the continent. The Translation Industry in South Africa is one that we at AfroLingo have obviously been a part of for many years now and we are delighted with how the industry seems to be progressing. As many of you will know, Africa is one of the most linguistically diverse continents on the planet which means that providing translation services here is challenging to say the least. Initially, at AfroLingo and probably at other translation companies, most translations that were ordered would normally be that of cross-border visa, medical and legal documents. However, that has all changed in the last ten years which is great news for the industry and for the continent as a whole. The demand for translations right across each country on the continent is growing at a rapid rate due to advances in technology and a reduction in what this technology costs. While many people still live on or are very close to the poverty line, as technology such as internet access and mobile phones reduces, more and more people are being given access to information, content and apps. What this means for companies is that if they wish to be able to reach out to the huge populations of people on this beautiful continent, they are going to need translation services to provide this information, content and apps to be displayed in the required languages. This not only helps to create jobs and improve business in Africa but opens the country up to major corporations to be able to reach the wonderful people of Africa with their products and services. We aim to continue to be at the forefront of this growing industry in South Africa and the continent as a whole and hope to be able to help connect as many people with their translation needs as possible. As technology advances, the world of translation and what it can bring to cultures and communities open up further. This is something that we are extremely proud to be a part of and we are also thrilled and excited to see where it can go in the future. An increase in the connectivity between African nations with the rest of the world can only be seen as a good thing and we are massively looking forward to celebrating this notion on the 30th of September.